We welcome everyone to visit the Library. 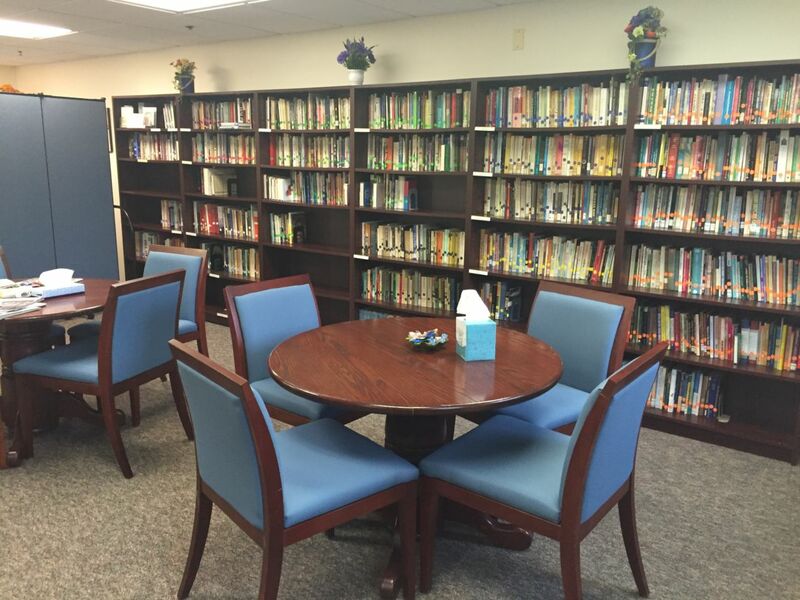 The Library is open and available for our guest’s use at any time. 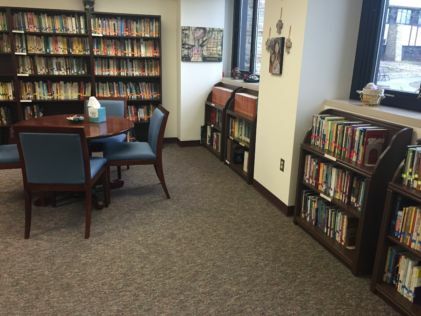 The library contains religious books and can help you throughout your spiritual journey. 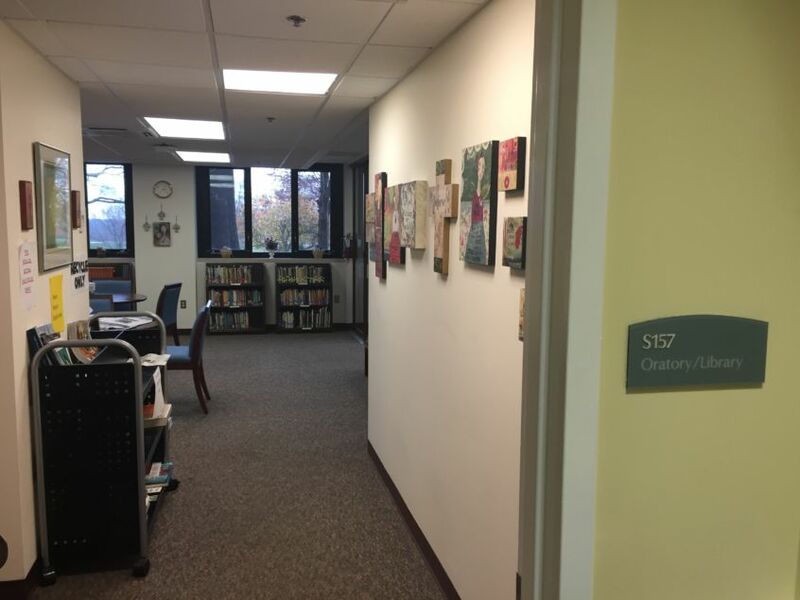 You may stay in the Library to read or study or you may take a book out to read while you are visiting the center. When you are done with the book, there is a cart for returns. 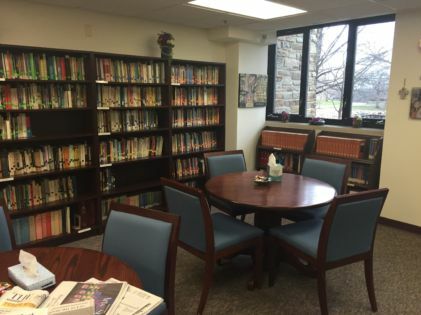 The Library receives The Baltimore Sun and The Washington Post newspapers daily for our guests. Our Library Assistant, Sarah Bopst, is also available to help you Monday thru Friday, 7:30am-4:00pm. We hope that you enjoy our reading resources!